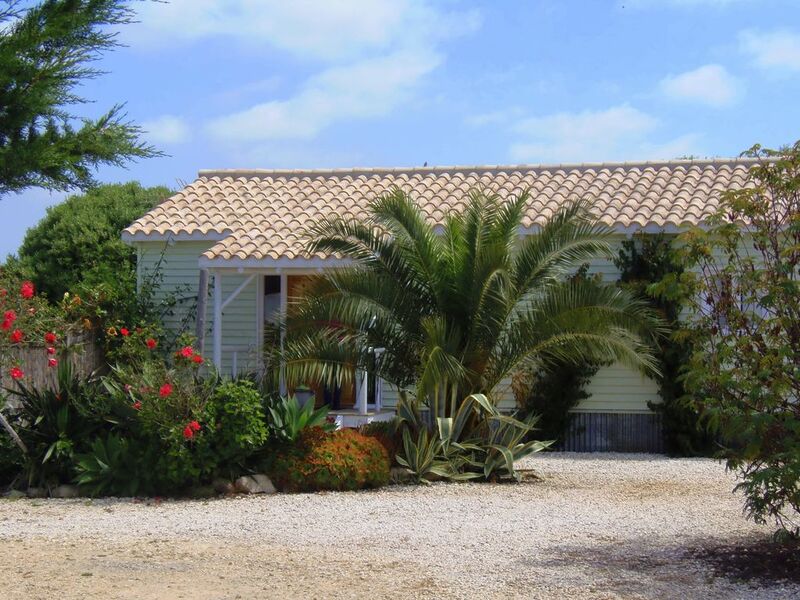 Lulu, is a two bedroom, one bathroom wooden house, with its own private garden and parking. Lulu has an 'L' shaped lounge/kitchen. The kitchen is fully equipped with a gas hob and oven. The lounge has a TV and music system and ceiling fan. Bedroom 1 is has a double bed, bedroom 2 has two single beds. Outside is a large covered patio with table and chairs for outside dining. On the patio is a sofa and coffee table perfect for relaxing day and night. Casita Lulu is an ideal place to stay for couples and families alike. 1bathroom with Shower, sink and toilet. Smoking is allowed but only outside. We had a wonderful holiday here. Perfect for the four of us. Highly recommended. Perfect for our needs. Spacious, clean, well-appointed. Lovely outdoor area and brilliantly located for the beaches. We would happily come back for more. Thank you, glad you enjoyed Your stay. We would be very happy to host you again. The fantastic hosts at Casita Lulu made us feel immediately welcome. By the end of our week we felt like part of the family! The casita we stayed in had an open plan kitchen and living area with two seperate bedrooms as well as it's own private garden area complete with terrace and BBQ. It was beautifully presented and much more relaxed than our usual hotel holidays. The beach is literally just down the road and is absolutely stunning. A wealth or restaurants, bras and surf shops too...heaven! Will definetly be returning and would definetly recommend! Thanks for a wonderful week! We had the most amazing two weeks after returning to this setting for the second year running. It offered us the peace we wanted whilst giving access to the beaches and bars whenever required! Our family joined us and loved the setting too. The interior of the chalet is wonderful and we spent many happy evenings sat on the porch watching the stars! Lisa and Dom were welcoming and kind, even shopping for us before we arrived... a real treat. We would happily recommend this to anyone. Wir haben hier im Oktober/November entspannte 4 Wochen unserer Elternzeit verbringen dürfen. Die Beschreibung der Wohnung trifft hervorragend zu, uns hat es sogar noch besser gefallen, als es die Bilder zeigen. Das Häuschen wurde uns in einem sehr guten Zustand übergeben und die ganze kleine Anlage macht einen sehr schönen und gepflegten Eindruck! Lisa & Dominic sind perfekte Gastgeber, immer erreichbar und hilfsbereit aber nie aufdringlich. Mit gutem Geschmack und Geschick haben sie ihr Grundsstück angelegt und pflegen die kleinen Gärten und ihre Ferienhäuser. Wir werden bestimmt wiederkommen und haben das Häuschen auch bei Freunden und Verwandten empfohlen. Beautifully presented Casita a short walk from the most stunning Beach. Absolutely first class service from the friendly owners who live on the site, making us really feel part of "the family"! Can't recommend this place highly enough. Great position near beach and Conil and perfect for surfing in particular. Tolle Zeit in El Palmar! Dieses Häuschen ist kuschelig und zum Wohlfühlen eingerichtet. Leere Gasflaschen wurden unverzüglich getauscht und Lisa war immer erreichbar bei Fragen. Es ist sehr ruhig gelegen mit Garten, Lounge und Barbeque. El Palmar is a small coastal village, in the heart of Andalusia Best known for its stunning beach, surfing and beautiful surrounding countryside, El Palmar is perfectly situated to enjoy a relaxing beach holiday and/or a sightseeing tour of such places as Cape Trafalgar, Vejer de la Frontera, Conil de la Frontera, Cadiz, Jerez and much more. The village though rural, is a hive of activity in the summer months and a favourite place for spanish from Barcelona, Madrid and the north to holiday. Full of families and young people alike. In the winter months Atlantic swells hit the Costa de la Luz, El Palmar is the main surf break in the area, with blue skys and warm days this makes it a popular destination for local and international surfers alike. Special rates apply for Easter , please contact us for prices. 25% deposit is required paid via bank transfer and the balance to be made 4 weeks before arrival. We also take a 100 € cash deposit in case of breakages. This is returned on the day of departure.